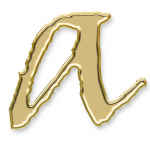 Aurous Publishing is a boutique publication and design firm based in Las Vegas, NV. We specialize in online services and marketing for authors and entrepreneurs. Our unique approach to helping clients realize their vision has helped our clients reach international markets by automating low level processes, and providing a focus on core product delivery.